Leather-like polyurethane material that does not include any animal hide or leather. 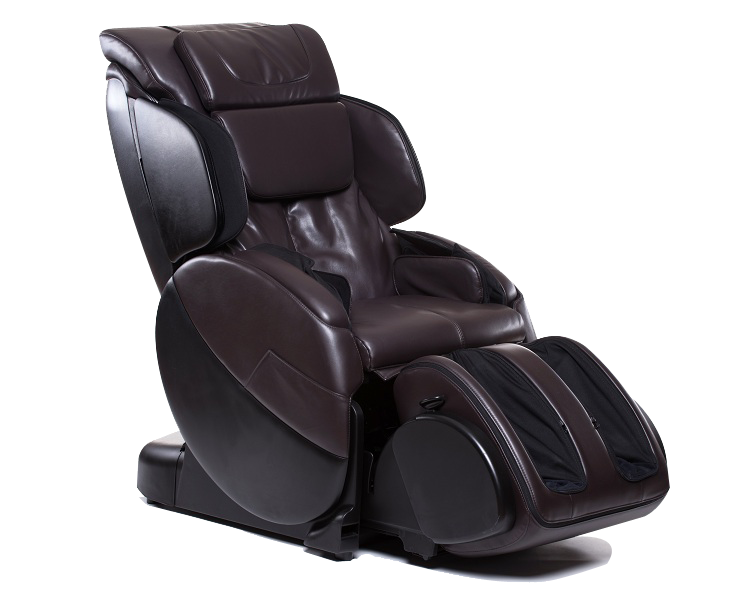 The Human Touch Bali massage chair is designed to completely envelop you in wellness, comfort and luxury. This revolutionary chair invites you to experience a remarkable array of therapeutic massage features and smart conveniences. Buy now, pay later with rates from 0% APR! You may have experienced other massage chairs, but you’ve never fully immersed yourself in one like the Human Touch Bali. Measures the entire length of your back and the contours of your neck and shoulders, mapping key pressure points to target during your personalized massage. Foot and calf massage intensity adjustment allows for users of all body types and sizes to ensure complete comfort for multiple people. Relax as if floating on air while strategically placed active contours located at the shoulders, hips, seat and arms help to lift, squeeze, manipulate, and massage the body. Rotate the foot and calf massager into a stylish ottoman for an aesthetic, versatile appearance. Retractable arm massage well allows for a streamlined appearance while still delivering a refreshing arm massage experience. Allows for users of a variety of heights to enjoy a full-length back massage.